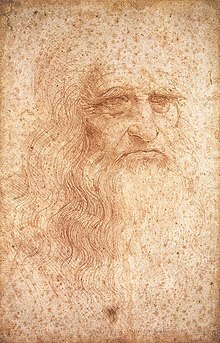 Leonardo da Vinci, regairdit as a polymath. A polymath (Greek: πολυμαθής, polymathēs, "havin learned much") is a person whose expertise spans a signeeficant nummer o different subject auries; such a person is kent to draw on complex bodies o knawledge tae solve speceefic problems. ↑ The term was first recorded in written English in the early seventeenth century Harper, Daniel (2001). "Online Etymology Dictionary". Retrieved 2006-12-05. This page wis last eeditit on 30 September 2015, at 18:09.